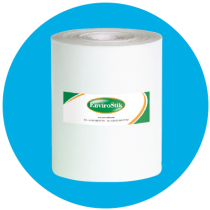 Experts in their field, the team at Envirostik have an extensive knowledge of adhesive technologies and the stringent requirements demanded by today’s artificial grass market, allowing the Company to follow a continuous product innovation process, with a number of adhesive developments leading the way in recent years. Our team of experts can always be trusted to offer best practice installation guidance and technical support. Our research and development team have over 25 years industry experience in this sector. Brian Spencer, Technical Director of Envirostik Holdings (UK) has extensive experience within adhesive technology development. He is a highly respected technical advisor within the sports surfaces industry bringing over 25 years experience on the installation of synthetic grass pitches. Our customer services team are also here to help answer any enquiries you may have.